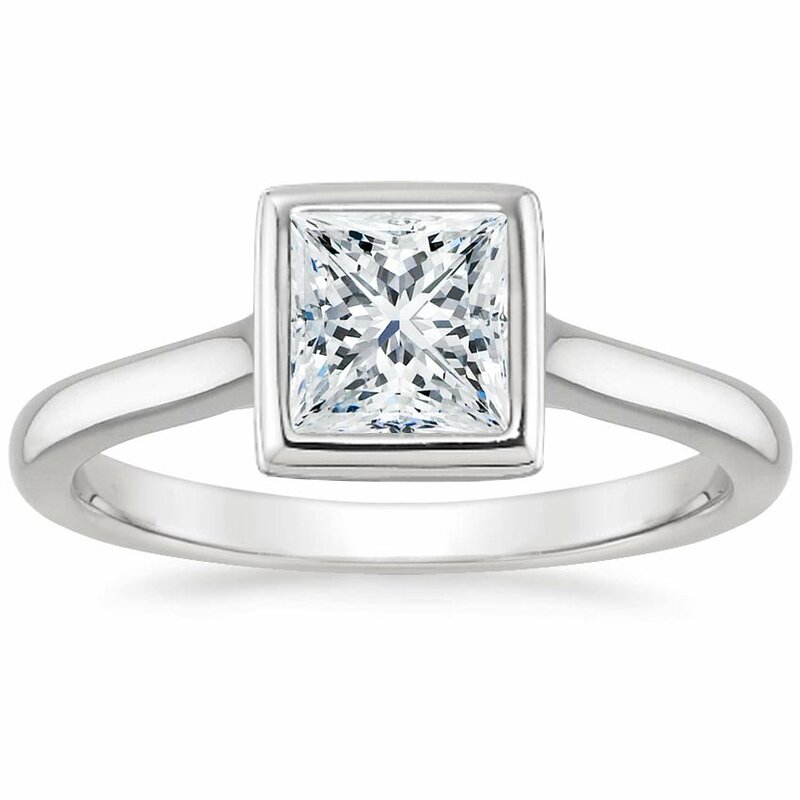 If you desire an engagement ring that’s at once classic and distinctive, then consider a princess cut engagement ring. 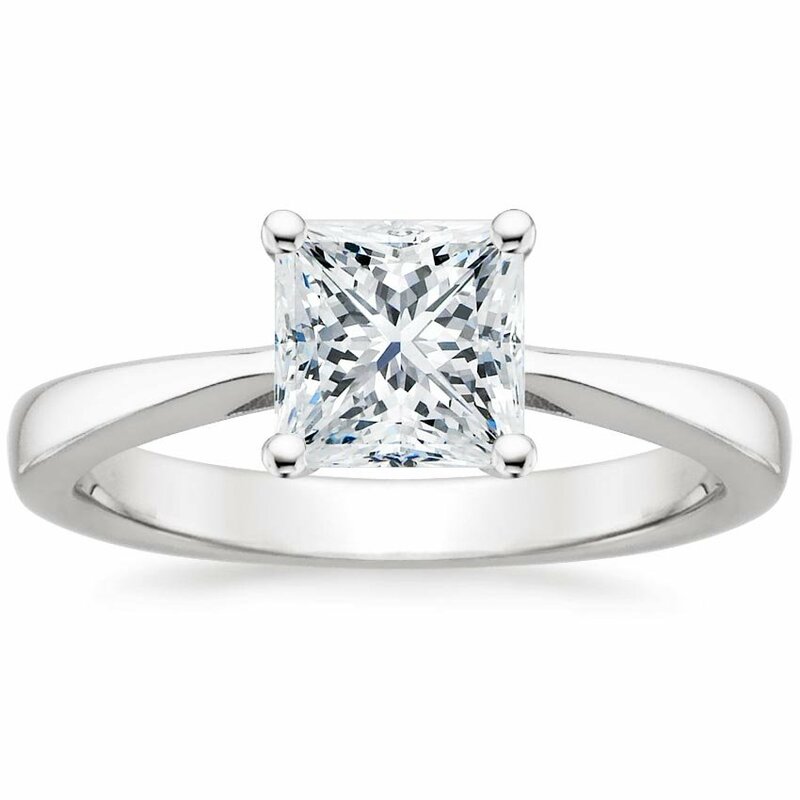 A solitaire setting leaves all the focus on the contemporary beauty and dazzling sparkle of a princess cut diamond. The Petite Tapered Trellis Ring features a delicate band that tapers toward the center gem and rises to a basket setting with a graceful trellis design. Combining the clean angles of a princess cut diamond with the curving lines of a nature-inspired ring design creates an alluring interplay between styles. 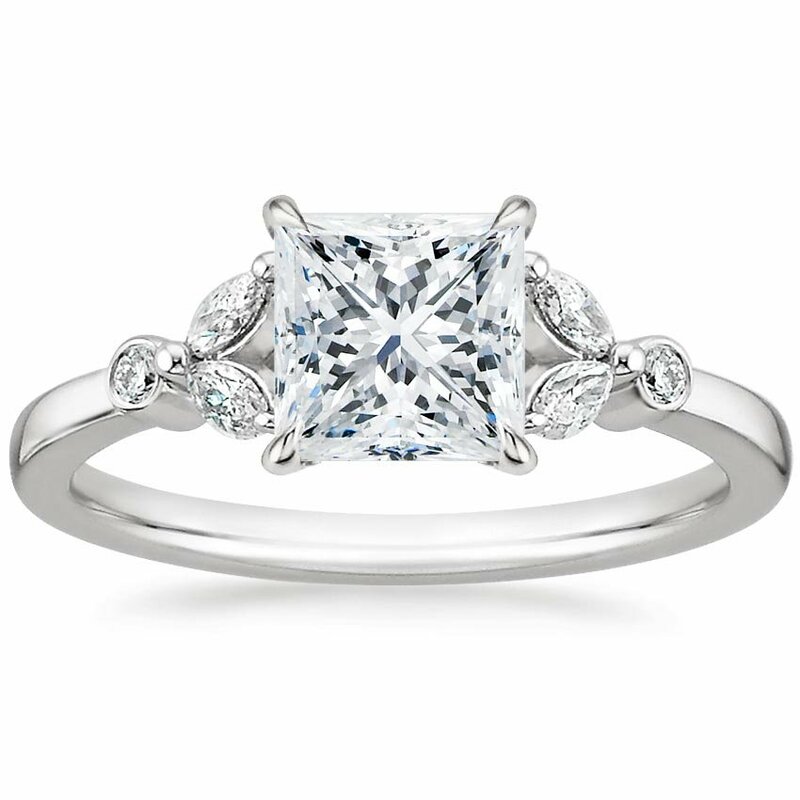 In the Chamise Ring ribbons of precious metal evoke vines or branches as they entwine to hold the center diamond aloft. 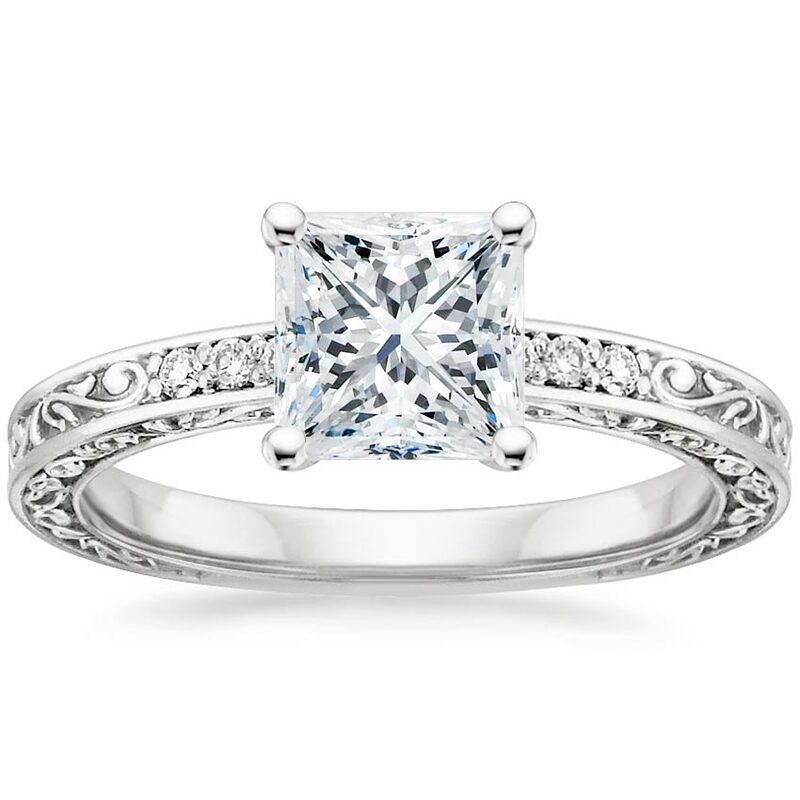 A princess cut gets a more traditionally feminine treatment in a detailed design like the Verbena Ring. It features four dazzling marquise shaped accent diamonds, bezel set accent diamonds on the shoulders, and a claw prong basket setting. To give a princess cut diamond a very modern, chic effect, consider a bezel set solitaire such as the Luna Ring, which features an elevated bezel to allow for maximum light play. 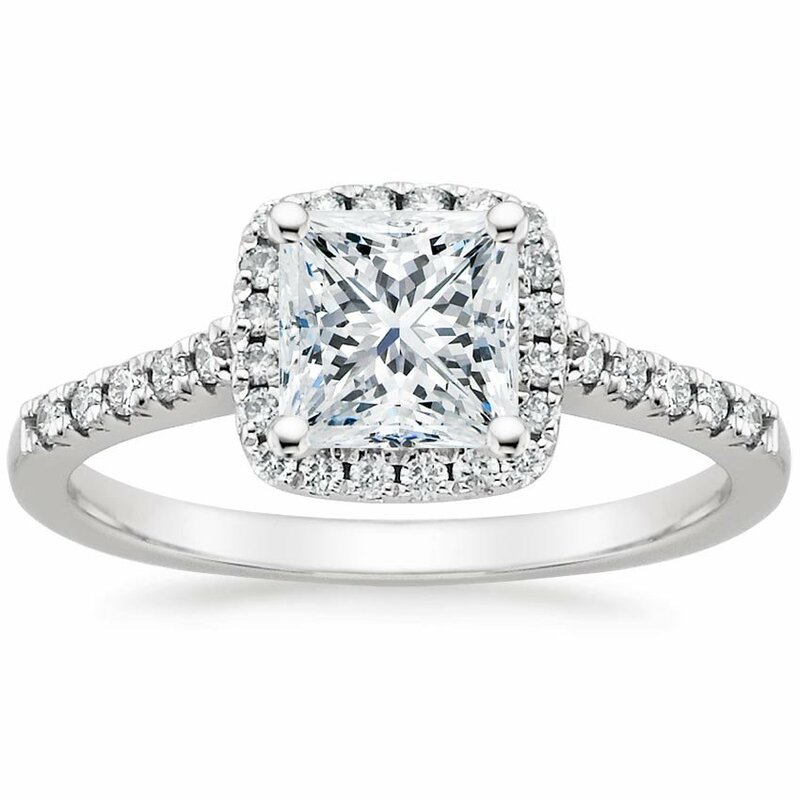 To balance the clean lines of a princess cut diamond with a more romantic setting, consider a halo design. In the Odessa Halo Ring a halo of pavé diamonds accentuate the center diamond, and a band embellished with French pavé set diamond accents creates a truly dazzling effect. 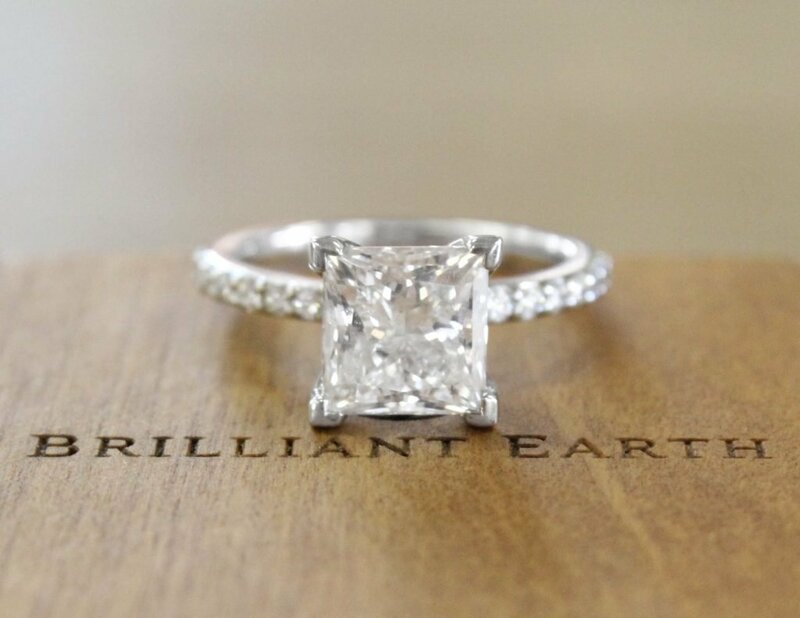 Although the princess cut is among the more modern diamond shapes, these diamonds can still blend beautifully with a vintage-inspired ring design. The Delicate Antique Scroll Ring exudes antique style with an engraved scroll pattern on the top and sides, with the top of the ring accented by six dazzling diamonds. 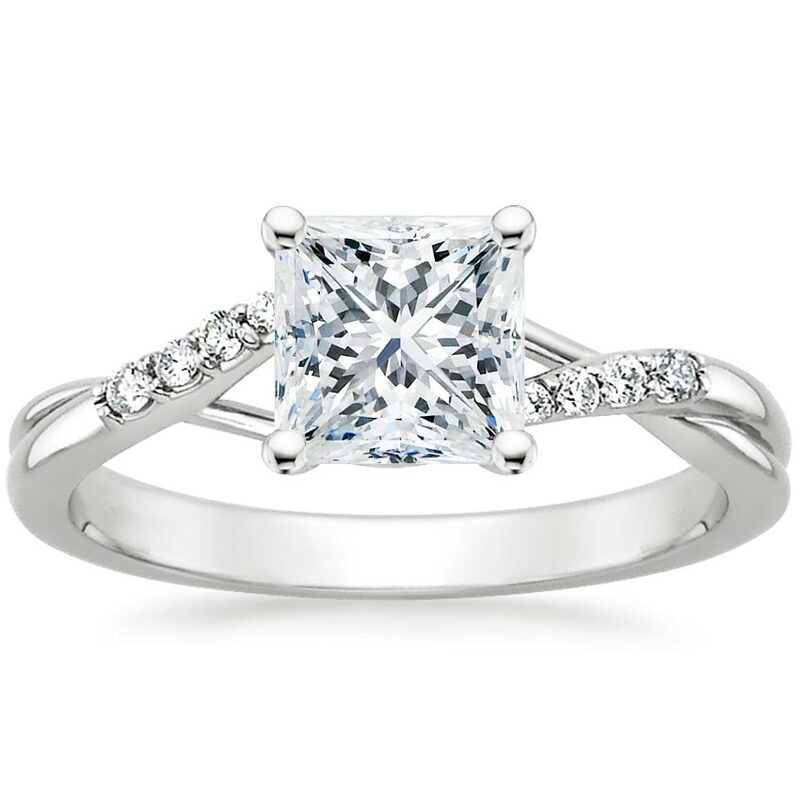 Do you love princess cut engagement rings? Which of these designs is your favorite? Let us know on Facebook or Twitter, or in the comments section!